The Sean Chambers Band performs on the Big Bend Blues Bash Main Stage on Friday evening, the opening night of the 18th annual Big Bend Blues Bash. Performances were scheduled to continue Friday evening and Saturday. Coverage of the Blues Bash will appear in the Tuesday edition of The Daily Sentinel and online at mydailysentinel.com. 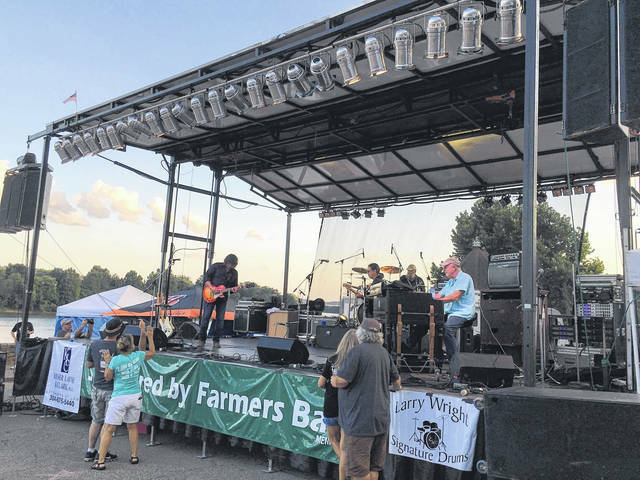 https://www.mydailysentinel.com/wp-content/uploads/sites/14/2018/07/web1_7.29-Blues_ne2018727202719691.jpgThe Sean Chambers Band performs on the Big Bend Blues Bash Main Stage on Friday evening, the opening night of the 18th annual Big Bend Blues Bash. Performances were scheduled to continue Friday evening and Saturday. Coverage of the Blues Bash will appear in the Tuesday edition of The Daily Sentinel and online at mydailysentinel.com.